HANK PHILLIPPI RYAN: Don’t ever let it be said that the Reds have failed to allow you to learn new things. Widen your horizons. Deepen your skills. Yesterday, what to do if you are kidnapped. And today, another lesson that may well come in handy, er, someday. We are the first place you look for that kind of valuable stuff, right? This wisdom, hard-won and in-depth and exclusive to Jungle Red (J) , comes from the amazing Kristen Lepionka. 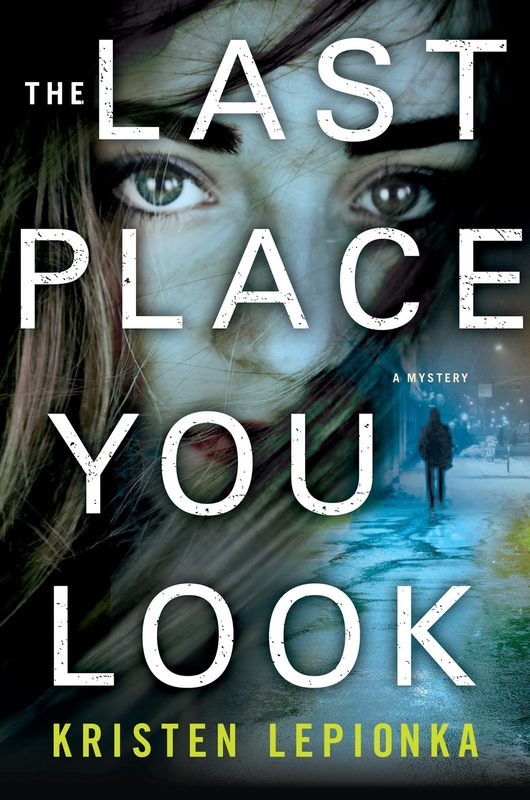 If you hear a sound in the background, that buzz is everyone on the planet talking about her new (and debut) novel THE LAST PLACE YOU LOOK. Now, take notes, you all. Then—hide them. Lock-picking always looks so easy in the movies. Is it weird that I notice this? Probably, but no matter--with a single bobby pin or paperclip, Hollywood wants us to believe that our heroine can get any door open in mere seconds. But in reality, it’s not so simple. I know this because, when I created the protagonist in my novel THE LAST PLACE YOU LOOK--Roxane Weary, a private investigator who’s been known to trespass through locked doors--I wanted to get the details about lock-picking just right. First, I fell down a rabbit hole of YouTube videos about lock-picking. Then I ordered an instruction booklet from a vaguely sketchy website. Then, still unable to figure it out on my own, I wondered if I could get someone to teach me how to do it. Maybe the sketchy website could put me in touch with someone locally? This type of question seems perfectly reasonable to a writer in full-on research mode. Then I heard about an organization called Locksport International which is an entirely upstanding and non-sketchy group dedicated to competitive lock-picking. 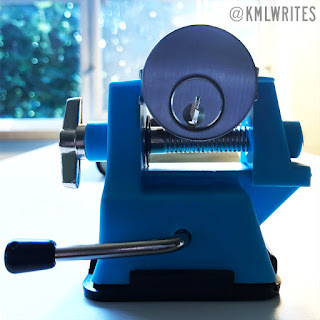 Locks are basically just the home security version of a Rubik’s Cube, and Locksport International gathers people together to practice, compete, and challenge each other to “solve” them. And they’re quite generous about teaching, too! I attended one of their workshops and learned all about this delicate art, including things that Hollywood often gets wrong--like that single paperclip I was talking about. 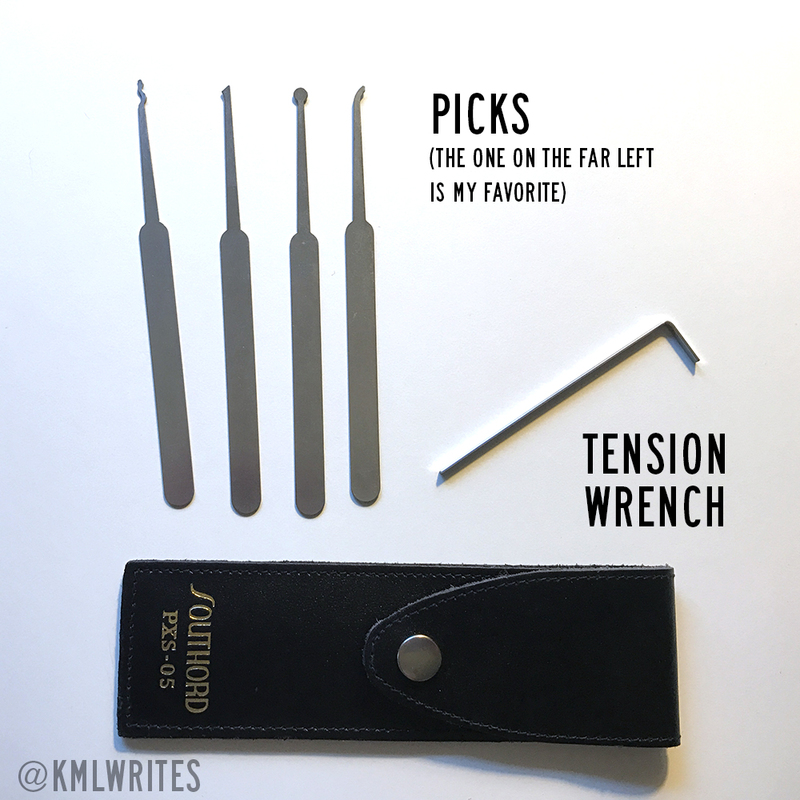 You really need two tools to open a lock--a pick, and a tension wrench. Without both, it’s virtually impossible. Here’s how it works. Your garden variety front door lock--a pin and tumbler lock--consists of a series of short vertical pins that are lined up in a matching series of holes drilled into the top of a larger cylinder (which contains the keyhole on the front). The pins prevent the cylinder from turning. But if you push those pins up and out of the cylinder, it will open freely. Each lock has pins of different heights, which is where those jagged edges on your housekey come in. Their purpose is to move the pins up and out of the cylinder, a point called the shear line. But you can’t open a locked door just by inserting a key and standing there watching, right? You have to turn the key too. Hence the second tool. 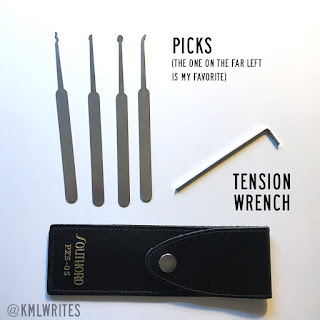 The pick simulates the jagged edge on your key, and the L-shaped tension wrench simulates the turning motion you make when unlocking your front door the regular way. As soon as the pins are lifted above the shear line, the motion of the tension wrench turns the lock open. So the next time you watch a movie where a character picks a lock, take a look at how they’re doing it. And check out Locksport International for more information on the exciting world of hobby and competitive lock-picking--it’s quite a lot of fun. Here is a video of me demonstrating. To win a signed copy of the The Last Place You Look, comment with your favorite "rule-breaking" detective character! HANK PHILLIPPI RYAN: Ooh. We just did a big story about the unscrupulous lock-pickers out there, the ones who take advantage of panicked homeowners who have locked themselves out. See? Now you can avoid all that. Rule-breaking detective. Hmm. Isn’t that all of them? Or is it? Gotta start with Sherlock Holmes. How about you, Reds and readers? And have you ever picked a lock? THE LAST PLACE YOU LOOK to one lucky commenter! 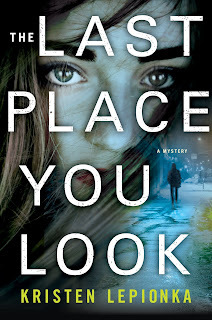 Kristen Lepionka is the author of the Roxane Weary mystery series, starting with The Last Place You Look (Minotaur Books, 2017). She grew up mostly in a public library and could often be found in the adult mystery section well before she was out of middle school. Her writing has been selected for Shotgun Honey, McSweeney's Internet Tendency, and Black Elephant, and she is also the editor of Betty Fedora, a lit journal focusing on feminist crime fiction. She lives in Columbus, Ohio, with her partner and two cats. Congratulations, Kristen, on your book . . . Roxane Weary sounds like a very complex lady; I’m looking forward to reading her story. I did know that you needed two tools to pick a lock, but I’ve never actually tried it. As for those detectives, they do seem to get away with quite a bit of rule-breaking in the name of solving the case. It certainly makes for good reading! And isn't that a great character name? Thanks, Joan! Lock-picking is definitely worth a try, whether for fun or function. I have got to read your book, Kristen. Going on my wish list right away. I have actually used the old credit card trick to get in my back door when I locked myself out or forgot my key, twice. However, that was the simple turn-the-button lock. I usually secure the dead-bolt lock on that door. Hank and Kristen, it is indeed a scary thought that the bad guys can so easily break in with a credit card. I can't think of but a handful of times I haven't used the deadbolt since my success with a credit card, and those were if I had to be gone for only a few minutes. But even being gone for just a few minutes makes me take pause anymore. I was horrified when I stopped by my 89-year-old mother-in-law's one day this summer and found the breezeway door to her house unlocked. After she returned, she tried to diminish its importance and said she had only run down to the drugstore, but then she had to go somewhere else when she couldn't find what she needed there. She didn't seem to want to listen to me, but I told her daughter about it, and I'm hoping that my MIL won't be leaving an unlocked door as an invitation to burglars, or worse, again. Welcome Kristen! this made me think we need to change our locks LOL. I love the story of your research--hopefully you'll be able to use this again! are you imagining that Roxane will be back in a series? sounds like a perfect set-up! Thanks, Lucy! Roxane will be back next May for the second book in the series, WHAT YOU WANT TO SEE. Thanks for enlightening us, Kristen! What about dead bolts? Did you learn how to pick them, too, or is that the wrong term? I'd love to know that, too. ANd what are the safest locks? Ooh! Upside down ! Love that! Ha! Hiding a key might be easier, but not nearly as much fun. Definitely sounds like my kind of book! Looking forward to reading it. My favorite rule breaking detective characters would be Chet and Bernie! Yes! Chet and Bernie are the best. What a wonderful evocative name for your sleuth, Kristen. I can visualize her shoulders drooping as she knows she has already seen it all before. Will find out if this is true as I just ordered your new novel. p.s. congrats!. Welcome to the Reds; enjoy your stay. My submission for our rule breaker is Bernie Rhodenbarr. Not only a thief, but a book store owner complete with cat. Lawrence Block hit the trifecta in characterization for me. Close behind is Ingrid's Fina, sass with class that girl. Coralee, I love that description of Fina! I'm going to borrow it, but I'll give you full credit! Coralee, thanks! I knew I wanted to write a character named Roxane early on in my brainstorming process, but she didn't totally come to life till I figured out her last name. Congratulations on your book, Kristen! I'll be keeping an eye out for it. It does seem that characters whose houses or offices the protagonist needs to break into tend to have pretty easy locks. The only time I remember trying to pick a lock was once when I had locked myself out of the house. I could look in the window and see my keys on the kitchen table. No luck; fortunately my wife came home before too long. Of course I could have gotten in had my favorite rule-breaking detective been with me. That's Casey Jones, the bodacious star of several mysteries set right here in the Triangle area. She's the creation of the wonderful Katy Munger. If you want to check her out, the first in the series is Legwork. Yeah, that's true--lots of easy-ish locks. Hmm. It's so frustrating when you're locked out and you can SEE your keys. That's happened to me with my car keys (usually at a gas pump) more times than I care to admit. Yeah, it does seem cool, doesn't it? ANd doable.. I don't have a favorite. I like too many. I'd be interested in learning about dead bolts also. They're supposed to be the safest, right? Congratulations, Kristen! What a stunning debut! I just finished reading "The Last Place You Look," and found it fascinating. NOT the Big Bad I expected at all. And Roxane with one "n" is a marvelous character, although she really does need to get a less obvious car. I've always been fascinated with locks and lock-picking. I knew about needing two tools, but I didn't really know why. A friend introduced me to the concept of "bump keys," and now you tell me there's a whole hobby industry devoted to lock picking. All so intriguing! I recently installed some new doorknobs at my house that came with a handy little tool to re-key them, and wondered if there was a way I could re-key any random person's house for spite, or for later mayhem. Not because I would actually do such a thing, of course. Just wondering . . . Fascinating information, especially the part about the vaguely sketchy website! The first fictional rule-breaking detective who popped into my mind was Sherlock Holmes, although there are so many to, uh, "pick" from. And now I need to be on the lookout for your book! Ha! I'm sure Holmes would be well-versed in "pun and tumbler" locks (I'll show myself out). LOL is right, Cathy! Paperclip, huh? Cathy, Kinsey Millhone is where I first learned that lock-picking was even a "thing" ! She's a rule-breaker from way back and probably my favorite too. Okay, I just read this piece and wow does this book sound like it is all kinds of awesome. I delayed typing my response long enough to check that my local book store has a copy. I'm going to pick it up today. So kudos to you Kristen for getting your book published! As for my favorite rulebreaker of a detective, yes it goes to Sherlock Holmes the one who essentially started it all for me in terms of adult detective fiction. (Encyclopedia Brown and The Three Investigators were my kid age entry into the genre). But as was said in the main piece, isn't pretty much every detective a rule breaker on some level. There are just so many characters I could name. Lucas Davenport, V.I. Warshawski, Spenser and Harry Bosch. I'd be remiss if I didn't mention Molly Murphy, Jane Ryland and of course my most recent favorite, the one and only Fina Ludlow. I've never picked a lock, though I'm sure that would be an amazing skill to have. And hey, tying it into yesterday's post, it may come in handy if I'm ever kidnapped (though why anyone would want to kidnap me passes understanding). Yes, you are so right, Jay, Jungle Red brings you all kinds of necessary info! Thanks, Jay! I'm happy to provide valuable life lessons such as this ;) I hope you enjoy the book! Now that's a fun skill to have. And could really come in handy sometimes, hopefully more often than the need to survive a kidnapping. The only kind of lock I've successfully "picked"--or even tried to open without a key--were the interior locks used for bathroom and bedroom doors. My daughters were genius about locking them when they were small, but not for turning the knobs the other way. Or, they'd lock them, and shut the door from the outside. I had a long, flattened out hairpin that worked great. We just replaced an interior doorknob at our farm, where the house is really a manufactured home. Everything about that kind of building is specialized, so my husband had to look hard to find a knob that would work. When I replaced it, I found inside the package a thin piece of metal with an L-shaped bit with a flattened end, meant to do exactly what my long-lost hairpin did! Naturally, I can't think of a single rule-breaking fictional character, but aren't they all, in some way? Congratulations on the book, Kristen, and thanks for the way cool information. Oh yes, those flimsy little bathroom door locks! I once put my cat in the bathroom when I had a repairman in the house, and while jumping frantically at the knob trying to get out, she locked herself in. Welcome Kristen and congratulations on your new book, sound as if I won't be able to put it down once I unlock it! I actually have a favorite book about locks, THE LOCK ARTIST, by Steve Hamilton, winner of the Edgar in 2011. The only lock I've ever picked was the one on my diary, and that was more of a brute force thing as opposed to a skilled picking. I think I used needle nosed pliers. Or a rock. What did I know. I was twelve. My favorite rule breaking detective is Vera Stanhope, not so much about breaking the rules of investigation so much as breaking the rules about what a female police detective should look like, definitely not dressed out of Oxfam, slightly over-weight, and living in a messy house full of illegal birds' eggs. How I love her. Oh, the Lock Artist. So0 brilliant. ANd once I asked Steve WHY he decided to have a main character who didn't speak--remember? ANd he said he'd never "decided" that--but as he wrote, the character simply didn't talk! I haven't read THE LOCK ARTIST! I'll have to check it out ASAP. Kristen--my old stomping grounds--I lived in Columbus or thereabouts for about twenty years--so I'd be looking for your debut for that alone--but the character sounds interesting, too--I'll be looking for your book! Good to know about the lockpicking, actually, it explains why that credit card/paperclip thing never worked for me. Flora, Roxane visits tons of Columbus landmarks in the book--hope you enjoy! And yes, the paperclip trick would likely only work on a push-button interior door type lock, which you can usually open by jamming any sharp-ish object inside. The credit card trick only works on a lock with a latch assembly that's slanted (e.g. the part that sticks out from the door and into the door jamb, AND the slanted part has to be slanted toward you, so that the credit card would go in along the angle. Otherwise, no luck. I haven't tried to pick a lock before, but hey! I knew you needed two tools to do it. I did the opposite. I deliberately jammed a lock. When I was in college I stayed in a private dorm one year that had a bathroom between two bedrooms. Our door to the bathroom had a twist lock; their door had the button lock. Our suitemates were always locking us out of the bathroom and I got fed up one day. I took apart the doorknob on our door and jammed a paperclip in there so the lock couldn't engage. I thought I'd bust a gut trying to not laugh the first time I heard someone trying to lock that door. Congratulations on your book and I'll be looking for it! Enjoyed your post, Kristen, and your book sounds great. I sigh loudly and longly every time I see a Hollywood sleuth pull off a two-second lock pick or come up with a one-hour DNA match. Not as bad as reading about the odor of cordite after a shooting, but close. Oh, well, sometimes we have to stretch our suspension of disbelief to incredible lengths. By the way, I like seeing some one from the Buckeye State in print. I spent a few early years down the road apiece in Portsmouth. Oh, you are so right, Earl! That's when we start yelling at the screen, right? Congratulations on your enthralling and captivating novel which I would enjoy greatly. I never did try lock picking and know it would be difficult. My favorite detective who loves breaking rules and would excel at this job is Harry Bosch. I enjoyed your informative post Kristen. A detective whom I admire and read about and is my favorite as far as rule braking is concerned is Tess Monaghan. Congratulations on your book and I look forward to enjoying this riveting story. Oh, petite, yes, exactly--she's terrific. Thanks, petite! I love Tess too. Congrats on your book, Kristen! I have never attempted to pick a lock, but have been known to get into my home using other creative methods including scaling decks and other physical endeavors! I agree that most detectives are rule breakers to some extent. My favorites are Kinsey Milhone, Renee Ballard, V.I. Warshawski, Jesse Stone (who follows most rules, but has been known to break a few), Barbara Havers, and Vera Stanhope. I'm sure I'll think of more as soon as I post this! Fina has picked locks, Kristen, which she does with a lock pick set. I'm pretty general in my description, whereas you definitely know your stuff! Yay! I loved it too! The Last Place You Look is steadily climbing to the top of my TBR, I'm looking forward to a great read. Have I ever picked a lock, no. My father on the other hand - he was amazing. And he could crack safes. But that's a story for another day. Kait, that's amazing! I'm so curious about safe cracking. May have to research that next! He could crack safes? How? And… Why? Now my husband informs me he used to keep lockpicking tools in his briefcase and knows how to use them. Hmmmm. I do know how to pick locks. My partner Norman taught me some years ago, and he made me a set of tools. What a sweetie. You know, that's just what I was going to say. That is true true love. Kristen - Your book sounds fantastic! I can't wait to read it. And competitive lock picking? Who knew. I learned how to hot wire cars for a book but that now seems much easier than lock picking. Thanks for visiting today - this was fascinating. Of course you know how to hotwire cars, Jenn! I would expect nothing less! Jenn, hot wiring cars is on my writerly bucket list! How did you learn? Jenn--we NEED to know this! Okay, I don't know if anyone is still reading the messages this late in the day, but I had to tell you all some stuff. As I said in my first post in the thread, I called my bookstore this morning and they had a copy of the book. So at lunch time I drove over and picked it up. And at 10:47 pm, I finished reading The Last Place You Look. Kristen, I have to send along a large batch of kudos to you on the book. It was outstanding. If me writing that isn't enough proof, consider that I got home at 4pm, took a 90 minute nap and a 30 minute break for food. Otherwise, I read the book all night until I finish. And I never finish a book in one day! I loved Roxane (one "n" not two), a complicated to say the least character who wins you over regardless of her myriad of issues. And I loved how the clue to the Big Bad is in the title of the book. I must say I had an inkling it might be headed in that direction early on, but I definitely had the wrong person in the end. I'll be writing up a review for Goodreads and I'll be sure to post that link on social media. But I had to tell you and the rest of the JRW community that The Last Place You Look is the first book you should read at this very moment! I know how to pick a lock. Don't ask. Read a book by Victoria Abbott where the sleuth comes from a family of uncles with questionable skills. If I remember correctly, this girl got a lock pick set from the uncles for her 16th birthday? And when she uses it, it does go on about how hard it is to pick a lock. Never picked any house locks, but have broken into a few briefcases in my time. Teachers lose their keys frequently. My favorite lockpicker is Lucas Davenport. Oh, good one! Love him. WHY DO WE LOVE WORLD WAR TWO? What if you are TAKEN? Uh-oh. What's the PROTOCOL for THAT? Have You Fallen in (Literary) Love This Summer? How do I kill thee? Let me count the ways.